On the move? When you're looking for a portable travel companion, chances are that you'll come across the 11-inch Acer TravelMate B113. 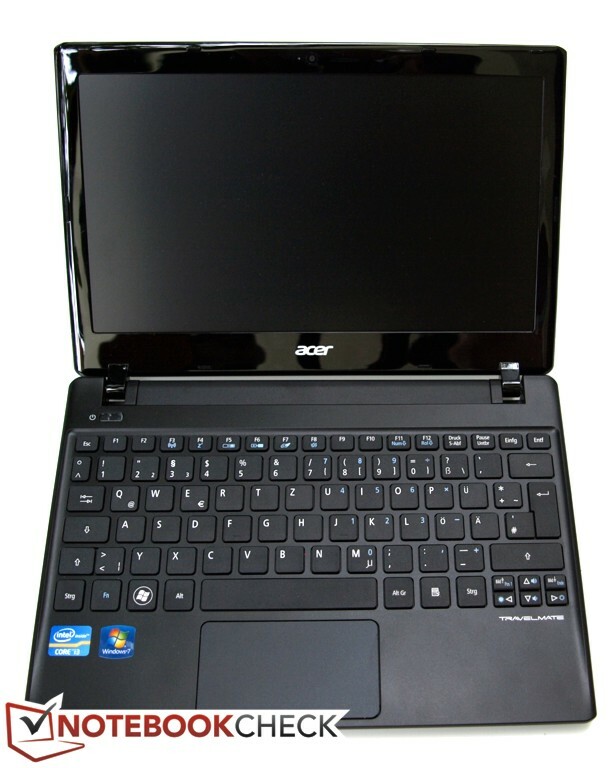 With its Core i3 processor of the Sandy Bridge generation in combination with the matte screen, it looks like the ideal platform for mobile office and Internet users. Acer's TravelMate family of notebooks is mainly targeted at corporate customers. 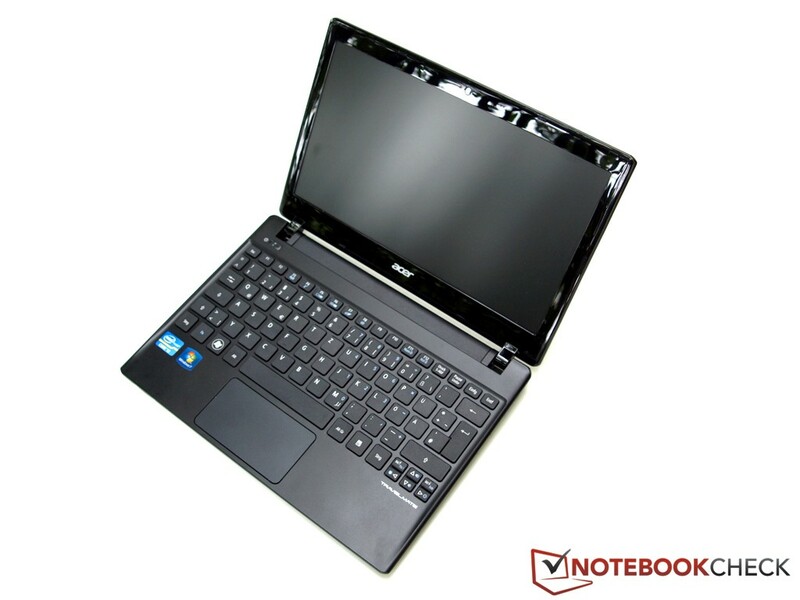 With its Core i3 Sandy Bridge CPU, Intel HD Graphics 3000, 4 GB of RAM and a 500 GB 5400 RPM hard disk, our 11.6-inch B113 model is designed to offer performance suitable for business travelers. Our 11.6-inch test sample measures just 2.73 x 28.5 x 20.2 centimeters (1.1 x 11.2 x 8 inches) (thickness x width x depth) but weighs in at 1.3 kilos (2.87 pounds), so it is not particularly light for an 11-inch model. On the positive side, when it comes to resistance to pressure or flexing of the base unit, there's not much to complain about. The same cannot be said about the frail display lid, however. Pressure applied in small areas, as well as flexing, for example when lifting the laptop on one corner, can induce changes in the image when the screen is switched on. Apart from the shiny bezel, the case itself is made from matte plastics, and the look and feel reflects the choice of materials. The stiff display hinges keep the screen safely in position; vibrations after adjustment of the opening angle are kept to a minimum. However, both hands are required to open the lid. 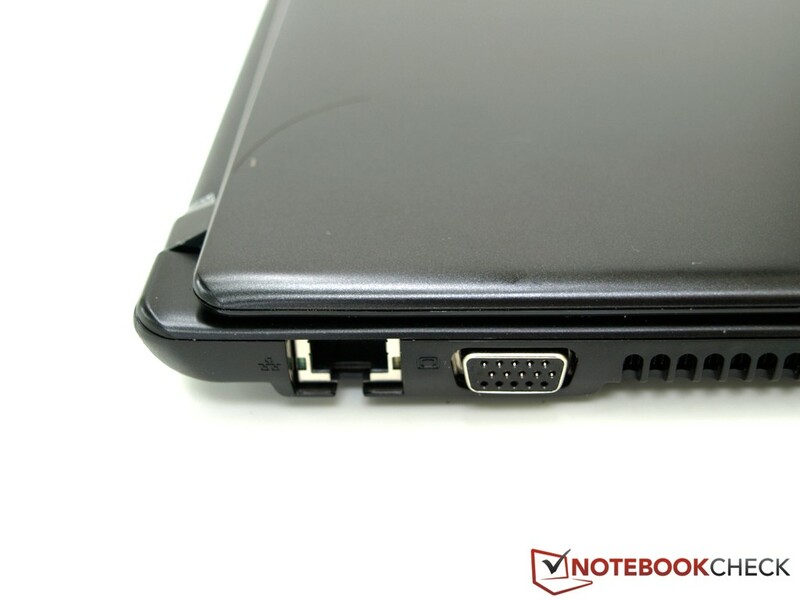 Except for the 2-in-1 card reader located on the narrow, downward-sloping front edge, all ports are distributed across the two sides of the case. 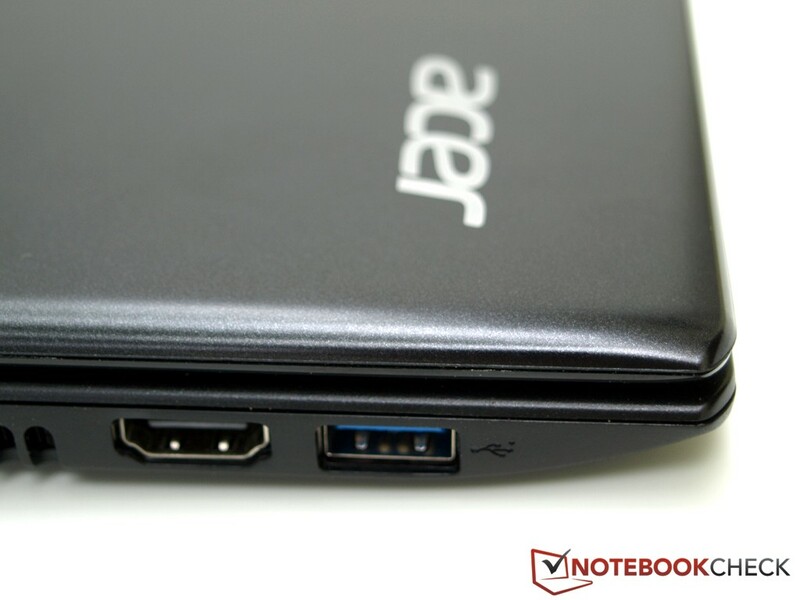 The back of the right-hand side contains two USB 2.0 ports and a 3.5 mm combination audio jack. Due to the placement of interfaces, left-handers will feel considerably disadvantaged. Near the front on the left-hand side, there is a fast USB 3.0 connector and an HDMI port, followed by an air vent. At least, the VGA and Ethernet ports are located closer to the back. Considering the business audience of the TravelMate series, a docking connector would have been appreciated, but the B113 has to make do without one. With its NetLink Gigabit Ethernet (10/100/1000MBit) for wired network connections at Gigabit speeds, Intel Centrino Advanced-N 6235 (a/b/g/n) for access to Wi-Fi hotspots, and Bluetooth 4.0 + HS, the TravelMate B113 has all the necessary tools for communication on board, each of which is up to date to the latest standards. Business travelers might have expected a mobile broadband module, but of course, there's always the option of using a USB dongle. In terms of mobile security, our test model only offers a Kensington slot. 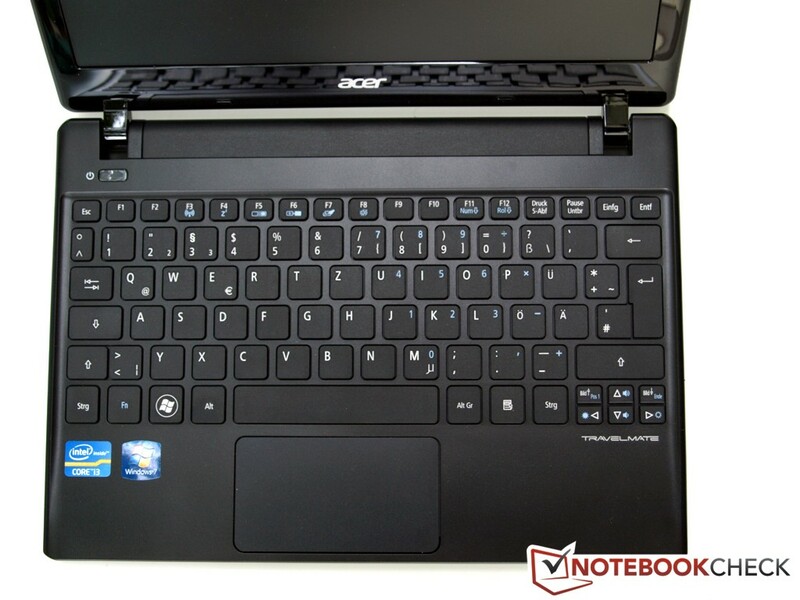 Given the business focus, Acer would have done well to include further security features. Other than the bare essentials, namely the battery and power adaptor, the box also contains a cleaning cloth and a quick start manual. A large service hatch facilitates maintenance works on the B113. 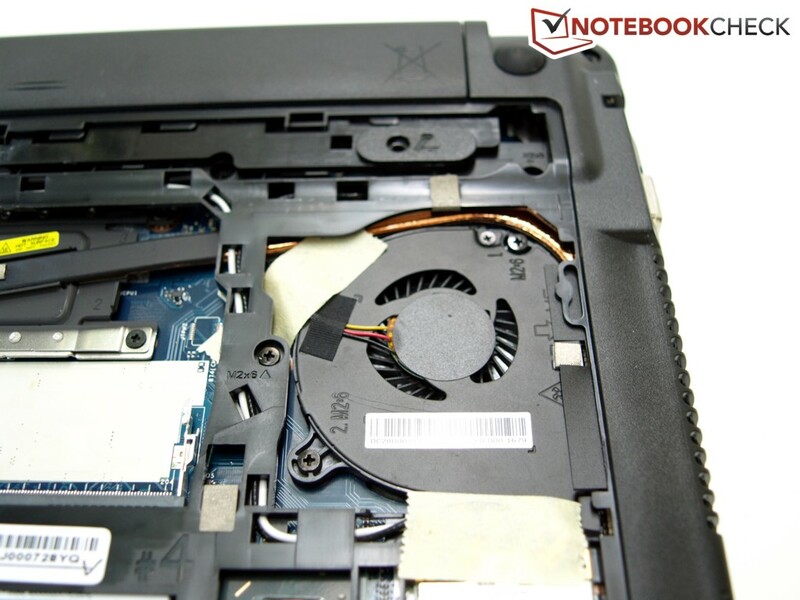 All the relevant components, as well as the fan, can be accessed via the underside. 12 months of manufacturer's warranty are included, and warranty extensions are available for an extra charge. 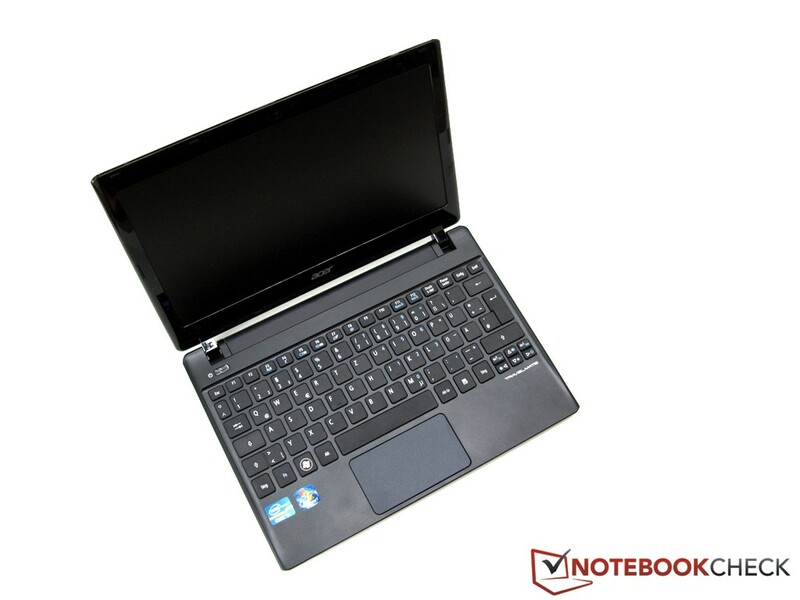 The TravelMate B113 comes fitted with a chiclet keyboard which has a comfortable feel to it. 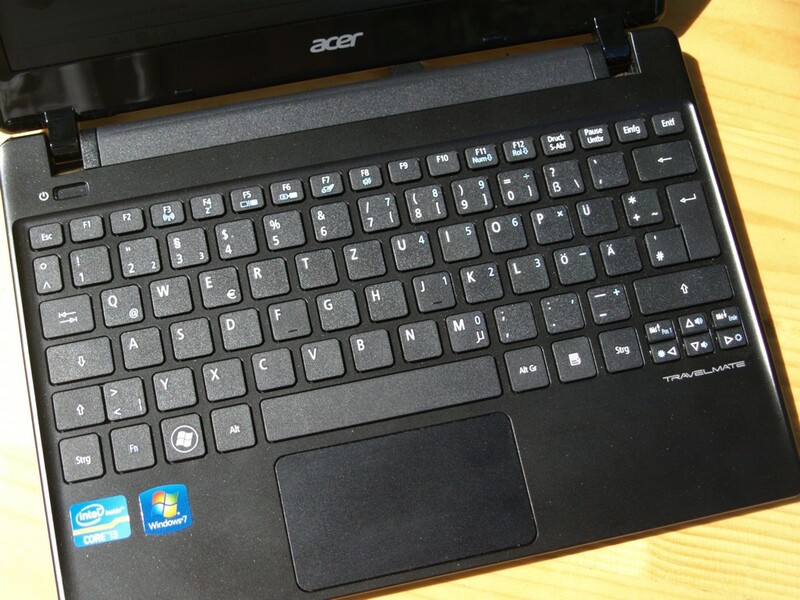 The perfectly flat keys are pleasantly large, except for the very small cursor keys, and the unusually slim return key. Typing is enjoyable, also thanks to the mechanical characteristics which include clear feedback and relatively low travel. Because the keys keep to the standard layout, you'll quickly feel at home. Aspects we like about the touchpad include the pleasantly textured surface that enables effortless finger movement. 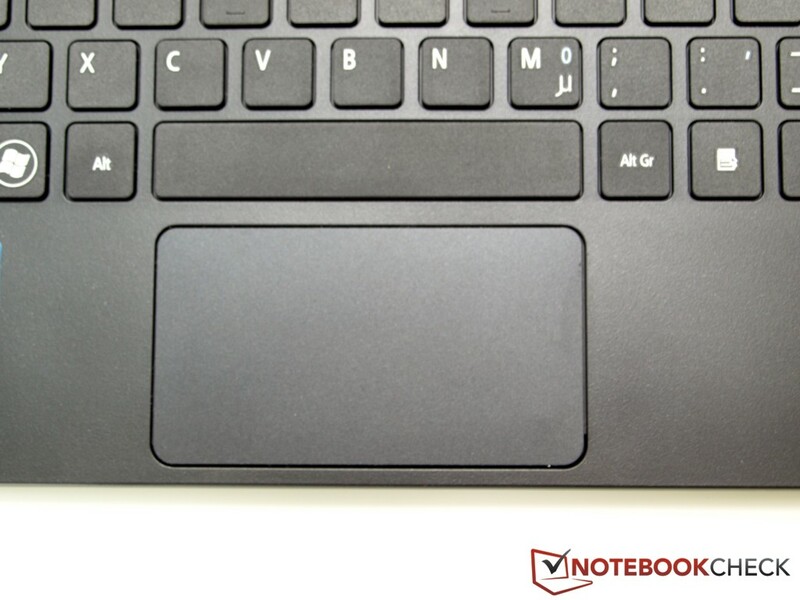 The Synaptics ClickPad V8.1 supports multi-touch gestures. In addition, navigating images is possible using the dedicated scroll area. The individual features can be customized according to user preferences in the mouse settings. 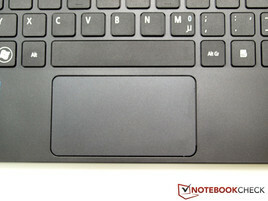 As with all clickpads, the mouse keys are located immediately below the sensitive surface. Right clicks are only recognized in the lower right-hand corner. Overall, the handling takes a while to get used to, and the mouse pointer has a tendency to jump around during left clicks. By comparison, the keyboard delivers more consistent results. The TravelMate B113 features an 11.6-inch screen in 16:9 widescreen format. With its 1366x768 pixel resolution, the AUO405C panel supplied by AU Optronics offers plenty of screen real estate for its size. Thanks to the matte surface, distracting reflections are not an issue, which qualifies the notebook for extended office use. The average luminosity of 180 cd/m² measured for our test model is not particularly bright, but sufficient for working indoors. The brightness distribution, on the other hand, is very even at 93%. Due to the satisfactory black value of 0.8 cd/m², the maximum brightness in the center still converts to an acceptable contrast value of 225:1. Subjectively, black looks dark enough, colors are alright if nothing special, and text appears crisp. 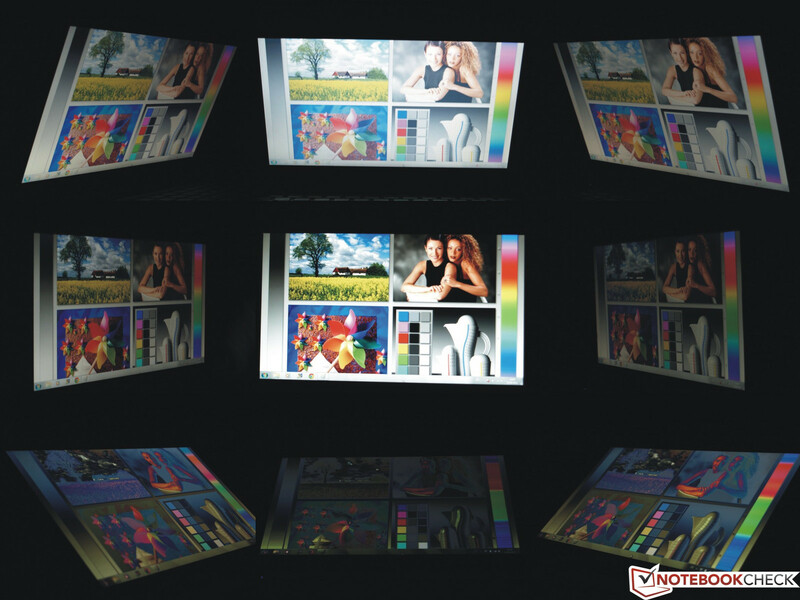 A large color space is mainly of interest to graphics professionals and photo editors. As expected, the TravelMate B113 cannot score highly in this category. 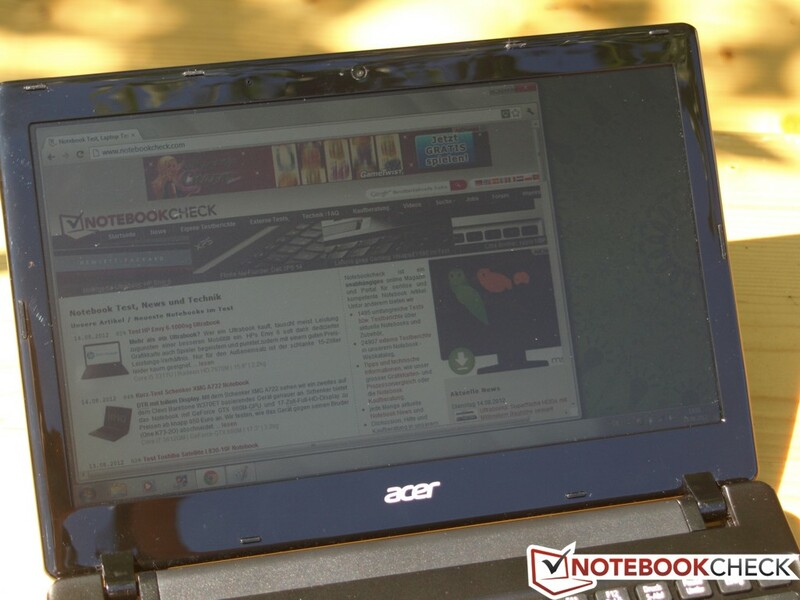 During outdoor use, the notebook benefits from its matte display. In the shade, the screen remains legible without effort. Under direct sunlight, however, the Travelmate B113 is stretched beyond its limits. A brightness above of 250 cd/m² would be desirable. 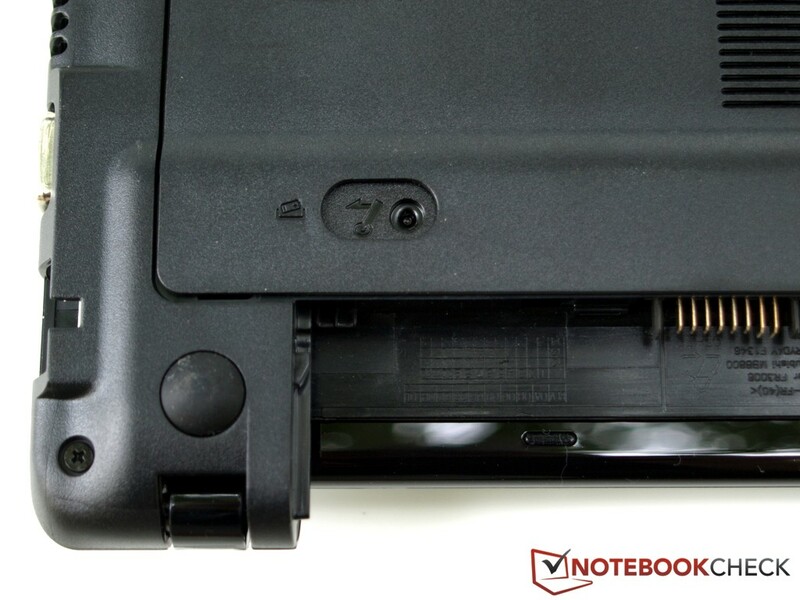 Viewing angles are what you would expect for a notebook panel. In the horizontal, almost no changes in the picture are noticeable, even at very narrow angles. Along the vertical, the range of movement is quite restricted. Viewed from below, the image quickly darkens, and color changes start appearing when you move further out. From the top, images appear overly bright. 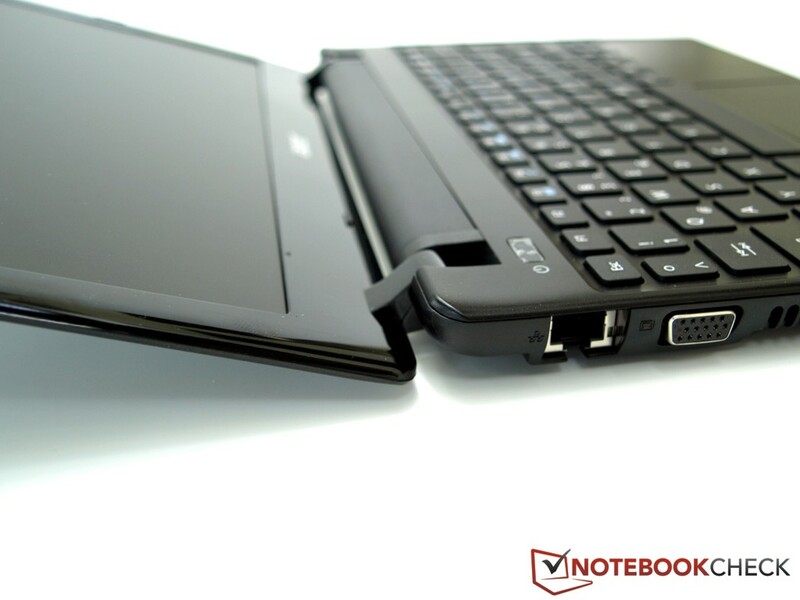 Expect to be constantly adjusting the opening angle when you balance the notebook on your lap. 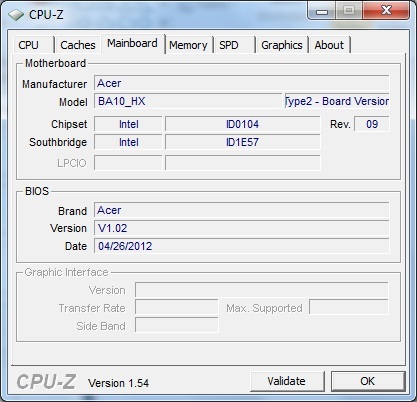 Our B113 sample is based on the HM77 chipset and is equipped with an Intel Core i3-2377M CPU. 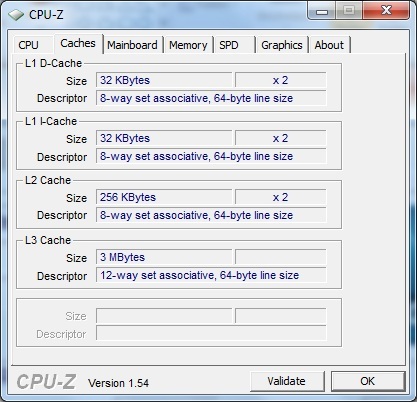 The processor can make use of 4 GB of RAM. Graphics output is the sole domain of the integrated Graphics 3000. Data are stored on a conventional hard disk with 5400 RPM and a capacity of 500 GB. 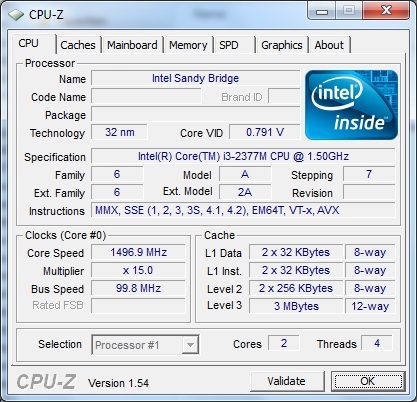 The Intel Core i3-2377M CPU is a power-efficient dual-core ULV processor that hails from the Sandy Bridge generation. Thanks to Hyperthreading, it can handle up to four tasks simultaneously. However, like all Core i3 CPUs, it does not support automatic overclocking (Turbo Boost). 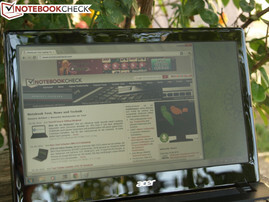 We evaluate its performance using several CPU intensive benchmarks. SuperPi 32M runs in 1338 seconds on the 2377M, significantly faster than the old Core i3-380UM (> 1600 seconds). Lenovo's ThinkPad X130e (AMD E-450) takes 2384 seconds, and Samsung's Series 9 900X1B (Core i3-2357M) is done after 1512 seconds. In the Cinebench Rendering R11 Multi-Rendering, our test sample achieves a score of 1.44 points, a little higher than the 900X1B (1.15 points) and much better than the ThinkPad X130e (0.62 points). As expected, Samsung's 305U1A-A01DE (E-450) which has the same processor as the X130e, achieves a similar score. Results from the older version, Cinebench R10 64-bit, tell a similar story. 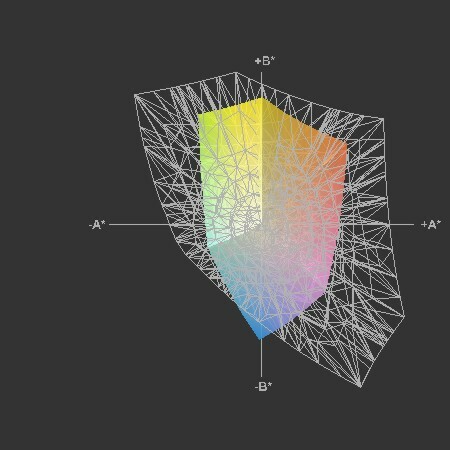 In Single-Rendering 64-bit mode, our test model scored 2249 points. The 305U1A-A01DE and X130e are soundly beaten, with 1176 and 1168 points, respectively, while the 900X1B can keep up to some extent, with 2081 points. In Multi-Rendering mode, the 4930 points scored by the B113-M-323a4G50ikk mark it out as about twice as fast as the two AMD E-450 models, and still somewhat faster than the 900X1B (4661 points). Fortunately, the full processing power is also available in battery mode. 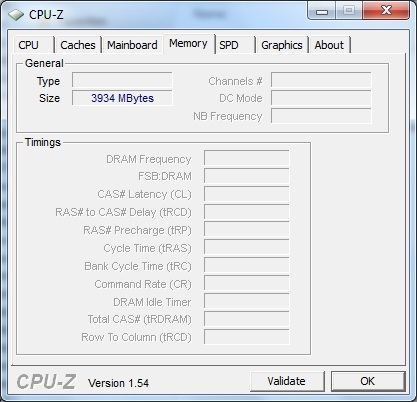 Overall, the CPU performance meets our expectations for the ULV Core i3 model. For detailed information about the processor and its performance characteristics, please check out our feature article and our mobile CPU benchmark list. To determine the overall system performance, we rely on our usual pair of PCMark tests. In PCMark Vantage, the TravelMate scored 3695 points, while in PCMark 7 it came in at 1558 points. 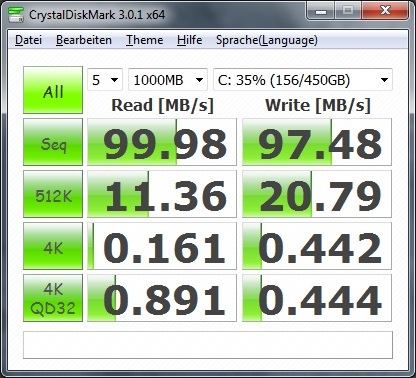 Samsung's 900X1B fared considerably better (5787 points), thanks to its mSATA SSD. 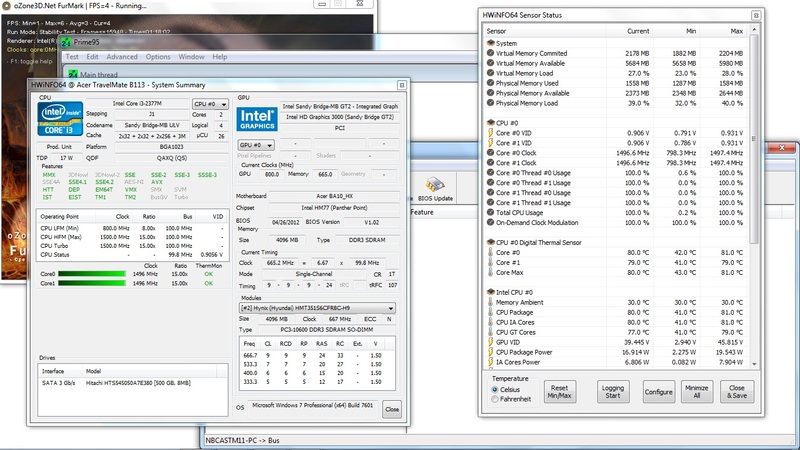 Here too, the two models equipped with the AMD E-450 CPU for comparison performed significantly worse. It's no surprise that a comparison with the PCMark 7 results showed a very similar picture. 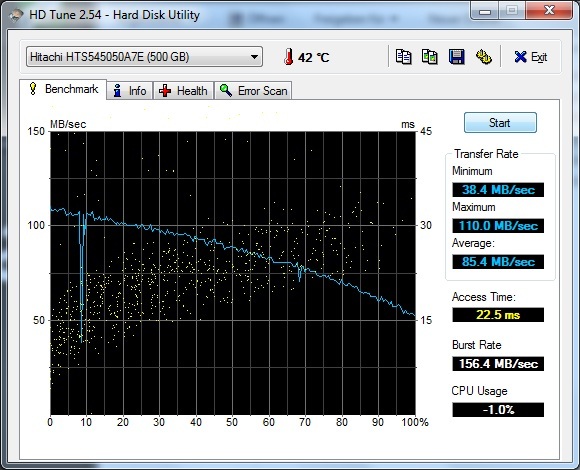 If application performance is to be improved, replacing the slow 5400 RPM drive with a fast SSD or hybrid solution should be the first priority. 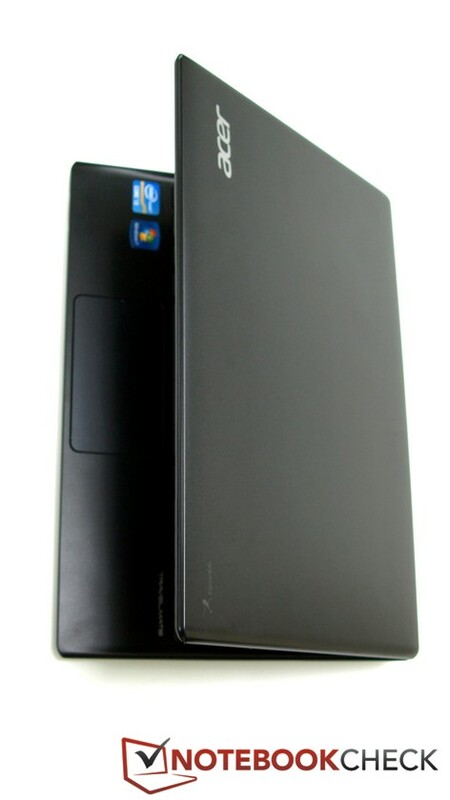 The storage device on our TravelMate is a Travelstar Z5K500 HTS545050A7E380 made by Hitachi. The 500 GB hard disk operates at a rotation frequency of 5400 RPM. 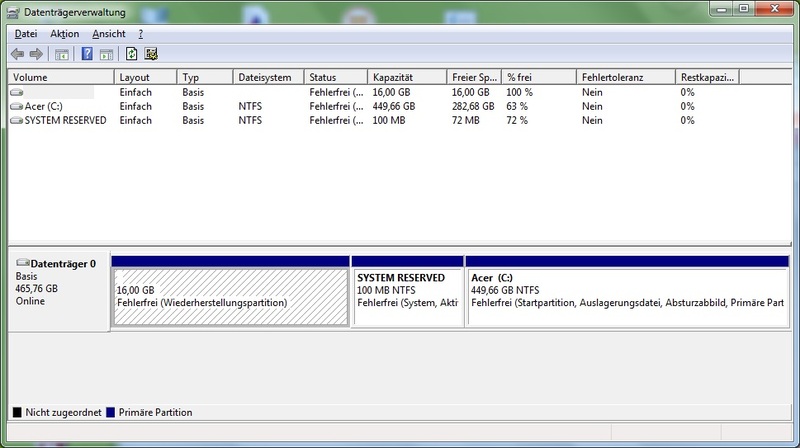 16 GB is reserved for a recovery partition. The values measured with HDTune are in line with our expectations for this type of configuration. The Intel HD Graphics 3000 is integrated into the Sandy Bridge CPU, so one should not expect outstanding graphics performance. In order to be able to compare 3D performance with other options, we ran a series of 3DMark benchmarks. In 3DMark 06, the B113 reported 3256 points. 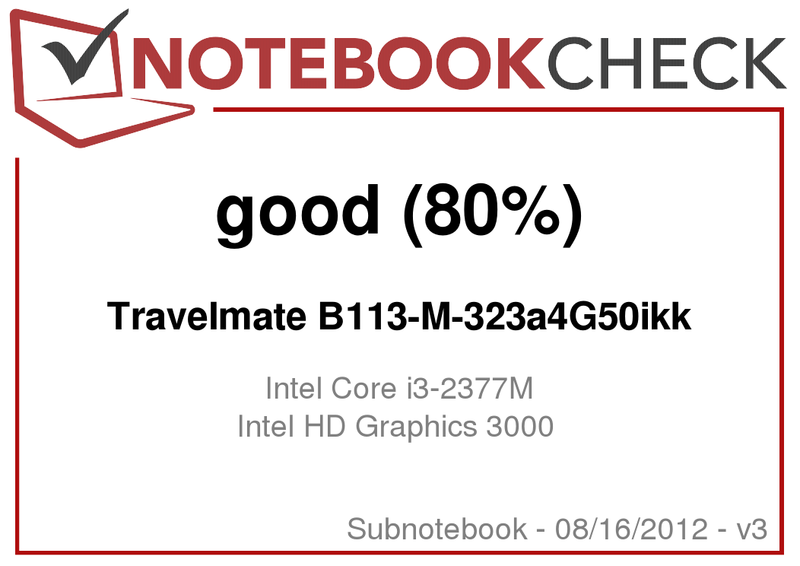 Here too, the ThinkPad X130e has to concede defeat with only 2155 points. Other models with comparable hardware configurations are pretty much on par with our test candidate, for example the Fujitsu LifeBook SH531 (2410M, HD Graphics 3000), Toshiba's Portégé Z830-10N (2367M, HD Graphics 3000) or HP's ProBook 6360b LG632EA (2410M, HD Graphics 3000) – all of these are 13-inch notebooks. In 3DMark Vantage the ProBook 6360b and the LifeBook SH531 came in at 1500 points, while the Portégé Z830 and our test model only managed 1300. As this is our first chance to test this particular CPU, we also performed three gaming benchmarks, despite the feeble 3D performance of the Graphics 3000 solution. The results confirmed our expectations: This hardware configuration is not suited to more demanding 3D tasks. On the plus side, the full graphics performance is also available when the laptop is running on battery. Under low load, our B113 stays pretty quiet with maximum emissions of 34.1 dB(A), but even at idle, the fan keeps spinning constantly. The noise emitted by the hard drive could not be measured, because it is quieter than the fan. Under load, the fan clearly makes its presence felt, with up to 39.6 dB(A). The relatively high-pitched, almost squeaky sound evokes memories of a hair dryer, and can become a nuisance. At idle, the surface temperature remains within reason, but even here the left-hand side of the palm rest warms up to 38.6 °C, human body temperature. Likewise, we measured a hot spot of 39 °C on the underside, at the area around the fan. Under load, temperatures increase further, and cross the 50 °C threshold both at the upper and the underside during our stress test. Granted, this is an extreme scenario after hours of full CPU and GPU workload, but also in light of the high values in idle, we expect the B113 to quickly become uncomfortable perched on your legs. The temperatures on the inside of the case remained within reasonable bounds during the entire stress test, and we did not find any sign of throttling. 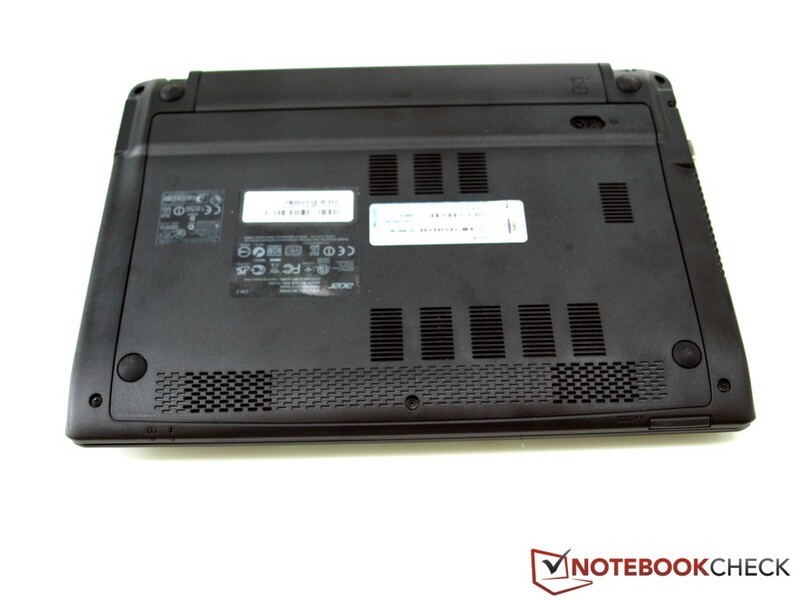 (-) The average temperature for the upper side under maximal load is 43.5 °C / 110 F, compared to the average of 30.7 °C / 87 F for the devices in the class Subnotebook. (-) The maximum temperature on the upper side is 51.5 °C / 125 F, compared to the average of 35.8 °C / 96 F, ranging from 22 to 57 °C for the class Subnotebook. (±) In idle usage, the average temperature for the upper side is 35.3 °C / 96 F, compared to the device average of 30.7 °C / 87 F.
(-) The average temperature of the palmrest area of similar devices was 28.6 °C / 83.5 F (-17.1 °C / -30.8 F). The two small speakers are located on the downward-sloping front edge and play their sounds against the desk surface. The sound quality is biased towards the midrange and lacks basses. We did not witness any audible distortions, even when turned up to the maximum, but the overall volume is quite low. Still, you'll rarely find better speakers in such a small laptop. To conserve power, the B113 has been equipped with a ULV processor. The measured power uptake is similar to that of the Samsung Series 9 900X1B. 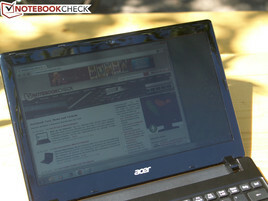 Lenovo's ThinkPad X130e does better on this count, but it is also much slower. We appreciate the low power use in standby and when the laptop is switched off. 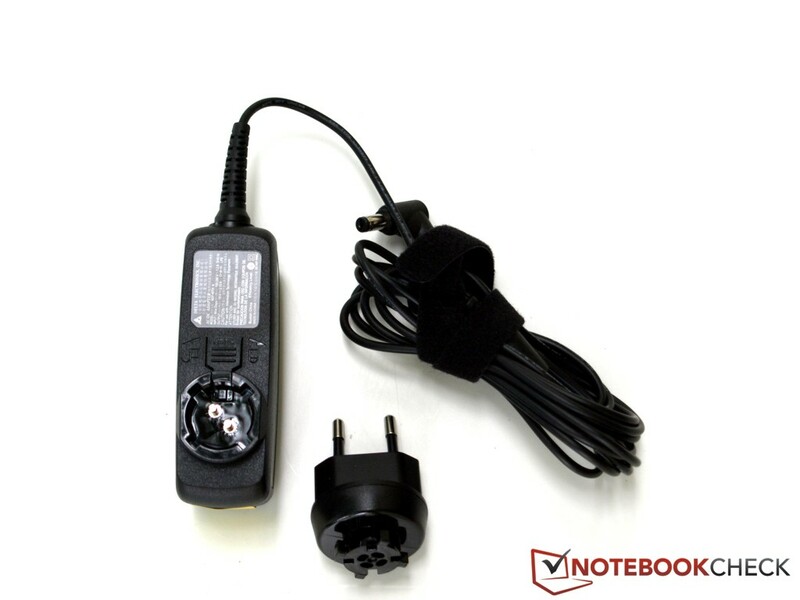 Our test sample features a Lithium-Ion battery with 37 Wh (14.8 V, 2500 mAh). In this configuration, it managed a maximum battery life of just over 6.5 hours in the Battery Eater Reader’s Test, with minimum display brightness, the power manager set to maximum efficiency and communication modules disabled. Using the Classic Test of the Battery Eater tool, with maximum brightness, the high performance preset selected, and antennas switched on, we were able to determine a minimum running time of under 2 hours. Our more realistic scenario, which simulates web browsing using a Wi-Fi hotspot, has the power manager configured to conserve battery and the screen set to a moderate 150 cd/m², ended after just under 3.5 hours. The ThinkPad X130e (AMD E-450, Radeon HD 6320) is not only more energy efficient, it also has a larger 62.4 Wh battery at its disposal. 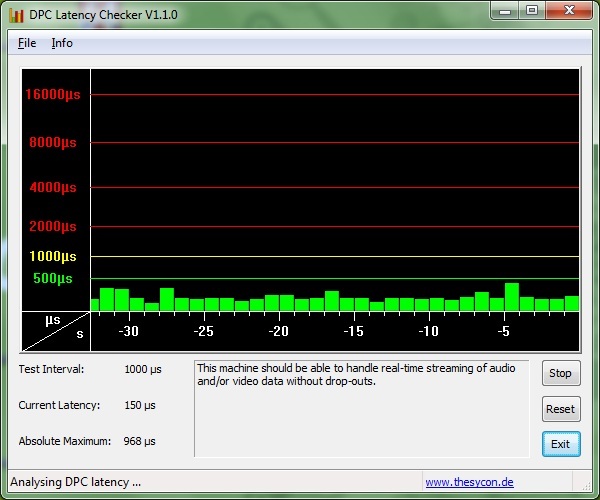 The result is a battery life of over 7 hours in the WLAN test case. Along the same lines, the Samsung 305U1A-A01DE even manages to provide 8.45 hours of mobile web browsing before the battery runs out. Samsung's 900X1B-A02 (Core i3-2357M, HD Graphics 3000) can at least rely on a 42 Wh battery, enough for a credible 6 hours in the practically relevant WLAN test. To put these figures into context, these are the battery lifetimes of the 13-inch models mentioned during the performance check: The Fujitsu LifeBook SH531 (3.8 hours, 2410M, HD Graphics 3000, 48 Wh battery), Toshiba's Portégé Z830-10N (6 hours, 2367M, HD Graphics 3000) or HP's ProBook 6360b LG632EA (5.25 hours, 2410MHD, Graphics 3000, 55 Wh battery) all outperform our test candidate more or less clearly. 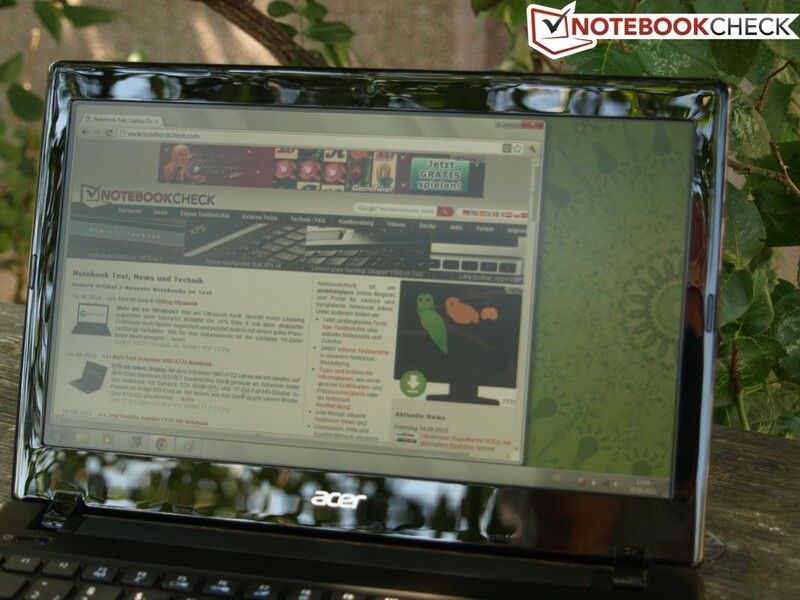 In summary, we can conclude that there is definitely room for improvement in this area for the notebook under review. 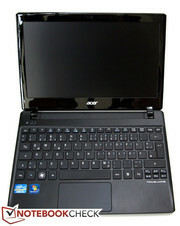 The 11.6-inch TravelMate B113-M-323a4G50ikk was designed for mobile use and aimed at the business market. 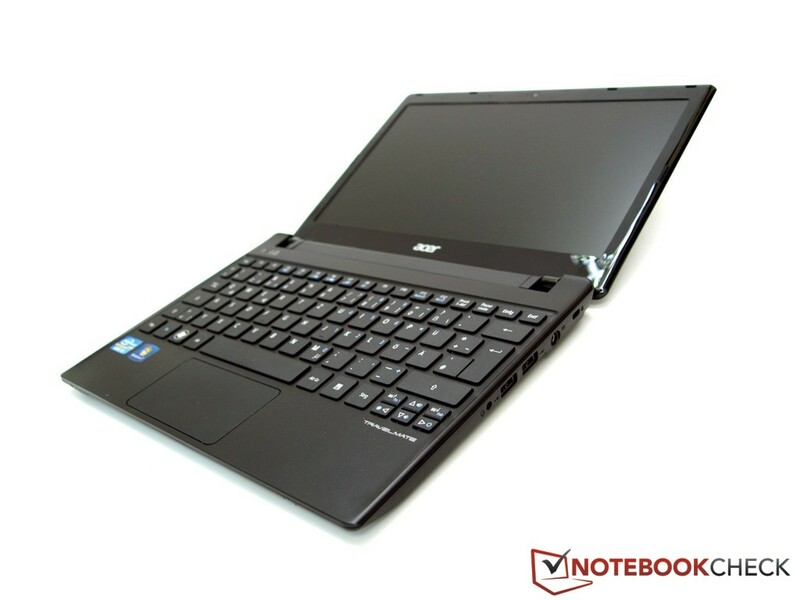 It is only appropriate that it comes with a matte screen and a decent keyboard, and the fitted ULV Core i3 of the Sandy Bridge generation provides an adequate level of performance as well. Unfortunately, mobility is hampered by a relatively short battery life along with a screen that is not quite bright enough. Furthermore, some business customers will be missing a complete package of security features. We are also not particularly fond of the quirky touchpad. Overall, the TravelMate B113-M-323a4G50ikk is fit for mobile use, keeping the above restrictions in mind. 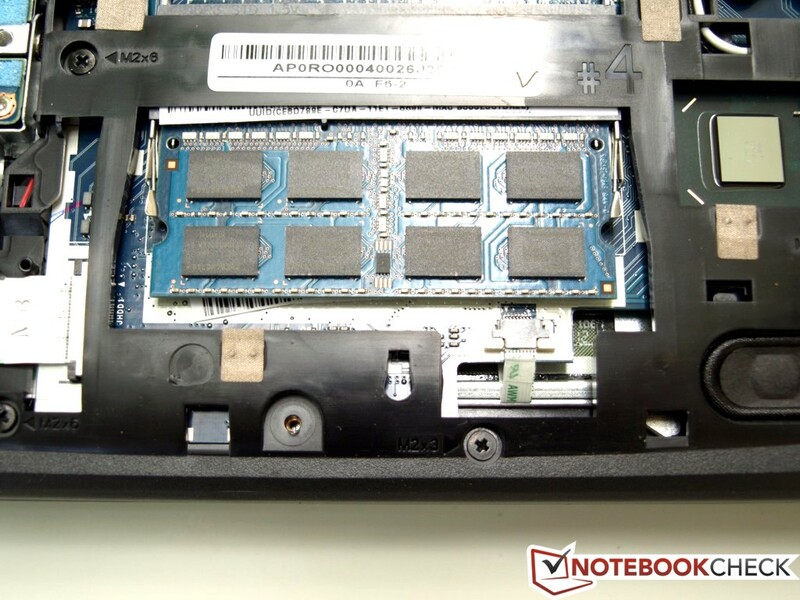 If a significantly longer battery life is important for you, and you are willing to sacrifice some performance, take a look at Lenovo's ThinkPad X130e (AMD E-450, Radeon HD 6320) and Samsung's 305U1A-A01DE. The slightly dated Samsung 900X1B-A02 (Core i3-2357M, HD Graphics 3000), on the other hand, offers similar technical features and only marginally better battery life than the TravelMate. If 13-inch models are also an option, the Fujitsu LifeBook SH531, the Toshiba Portégé Z830-10N or HP's ProBook 6360b LG632EA become contenders. A brighter screen and longer battery life would both be appreciated.